Larkin and I went to the Sacramento Kings versus Phoenix Suns NBA Basketball game. This was the last home game of the inaugural season in the new arena. The Kings opened the game on an 11 to 1 run and pulled away in the second quarter. The Kings won by the score of 129 to 104. Buddy Hield led the Kings with a career-high 30 points on 12 for 20 from the field, 4 for 8 from three point range and 2 for 3 from the free throw line. Ty Lawson had his first career triple double with 22 points, 11 rebounds and 12 assists. I always complain about how all of the give-aways end up in the first couple of rows on the lower deck. 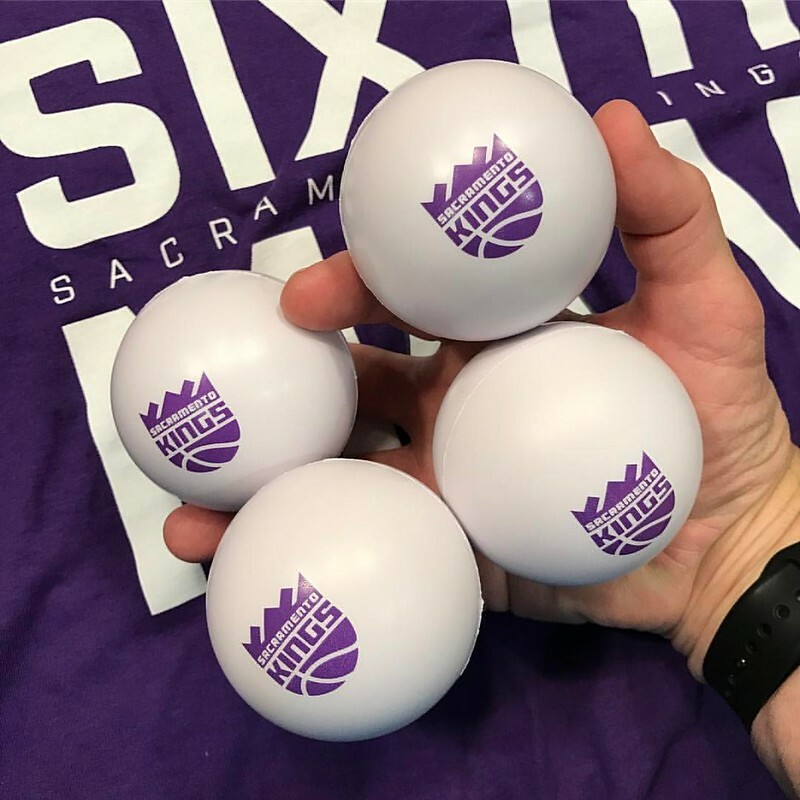 For this game, the Kings sent people into the upper deck to toss mini-balls. I ended up with four mini-balls! We talked to Hunter and Yuli during halftime. In an odd sequence, I spilled my drink while waving my hands talking to Larkin. A Kings employee asked me what I was drinking and went and got me another drink. While I often complain about the seats in the upper deck, there were enough empty seats around us that it was possible to stretch out! At one point, a couple came and sat down in the seats to our left. They were literally there for two or three minutes on their phones, but they took off. Larkin and I had dinner at the Foundation Restaurant and Bar before the game. The Kings have 5 wins and 3 losses in games that I have seen in person during the 2016/2017 NBA season.